Men today love to wear trendy Jewellery pieces. A huge variety of jewellery particularly designed for men are now accessible in the market and designers often have a whole line devoted to men's jewellery. Men's jewellery is specifically designed in smooth and elegant styles, something to enhance to his masculine appeal. Bold, big and purely stunning jewellery pieces are in fashion. Cocktail rings, also identified as dinner rings, have made a giant comeback at many jewellery shows and are included in most of designer lines again. These rings are no more just diamonds, a great range of cut crystal and semi-precious stones are also emphasized, with the goal to form a unique look that is one of a kind. 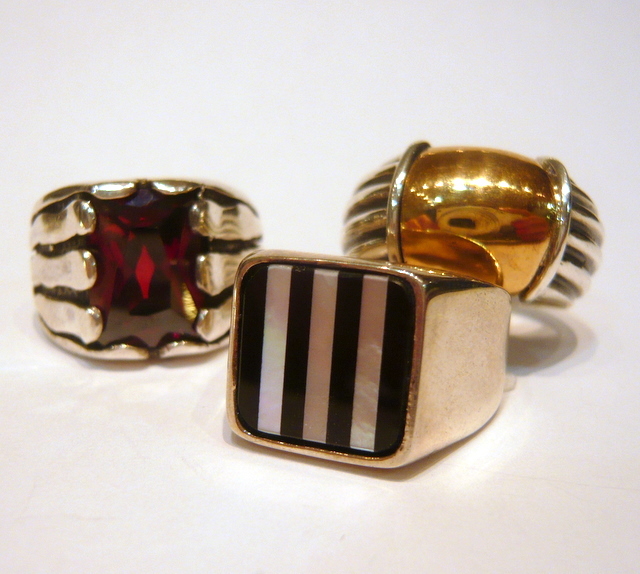 These rings are habitually worn on the right hand ring finger and are usually the only ring worn on the right hand. 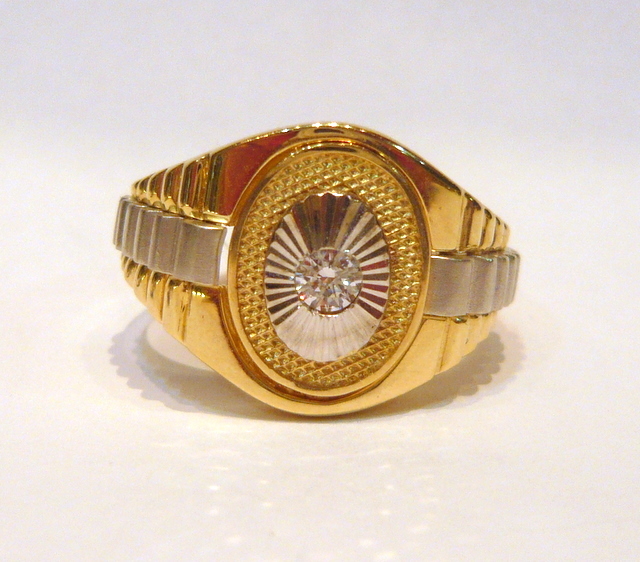 See below our Gallery of Mens Gold and Silver rings.